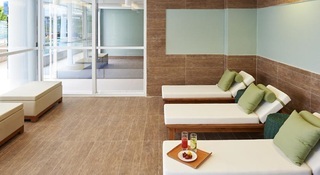 Located 6.8 miles from the Jardim OceÃ¢nico metro station and 19.9 miles from the Santos Dumont Airport, the Novotel RJ Parque OlÃ­mpico offers modern and comprehensive facilities for the comfort and well-being of your family, featuring rooms with a sofa bed for 2 children of up to the age of 16, A/C, free WIFI, a restaurant, bar, pool, fitness center, modular events rooms, meeting rooms, a business center and parking. Enjoy our 24-hour bar and sample regional cuisine in our 365 restaurant. 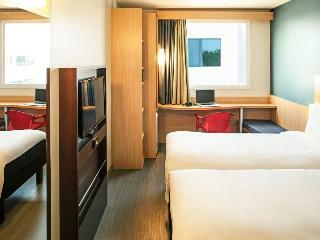 Located 6.8 miles from the Jardim OceÃ¢nico metro station and 19.9 miles from the Santos Dumont Airport, the ibis RJ Parque OlÃ­mpico offers modern and comprehensive facilities for the comfort and well-being of your family, featuring rooms with an extra bed for a child of up to the age of 12, A/C, free WIFI, a restaurant, bar and parking. Kick-start your day with our freshly prepared breakfast, then enjoy our 24-hour bar and sample regional cuisine in our Kitchen Pasta & Grill restaurant. With 298 rooms and located on Avenida Abelardo Bueno, in the heart of Barra da Tijuca, Hilton Barra Rio de Janeiro was designed to be the first choice of guests visiting Rio for the 2016 Olympic Games and reflects the city's culture and cosmopolitan style. The hotel has received many awards since then – the most recent was the World Travel Awards 2018¹ as “the best business hotel in Brazil.”Developed by Carvalho Hosken S/A, Hilton Barra Rio de Janeiro has a unique, artistic and innovative visual identity, offering a system for reduced water and energy consumption. Renowned architects, interior designers and landscapers were invited to create each environment of the hotel. 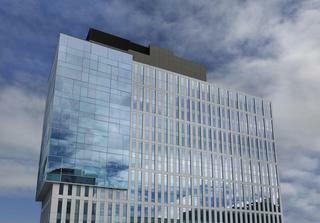 Its 37m high lobby, for example, allows natural light at sunset in all floors of the building. The dedication to the project and the joint work with Anastassiadis Architects, the office responsible for the interior design of the hotel, brought one more award to Hilton Barra: the 13th edition of the Arquitetura Corporativa Prize². 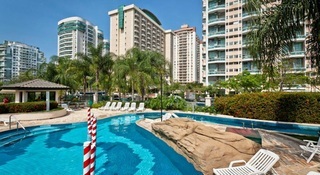 Boasting an outdoor swimming pool, Venit Barra Hotel offers accommodation in Barra da TIjuca district, Rio de Janeiro. 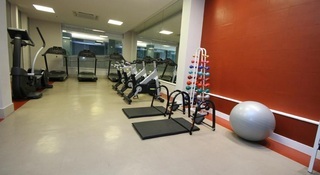 The hotel offers a spa centre, and guests can enjoy a meal at the restaurant or a drink at the bar. Free WiFi is available throughout the property.Each room is fitted with air conditioning, a flat-screen TV with cable channels, a minibar and Bluetooth speakers. Guests will find a private bathroom with free toiletries.Besides a sun terrace, guests will also be provided with a fitness centre, a sauna and a 24-hour front desk at the property.Barra Olympic Park is 100 m from Venit Barra Hotel, while Barra da Tijuca Beach is 12 km away. 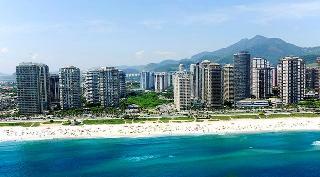 Rio de Janeiro/Galeao International Airport is 23 km from the property. Welcome to a deluxe, comfortable, trendy, and stylish experience, designed exclusively for you. Rooms with 35m2, located from the 5th floor up, with twin beds or a king size bed. Equipped with a work desk, free wifi internet connection, Trussardi bedding, Nespresso coffee maker, bathrobe and flip flops, and minibar. 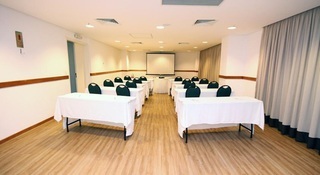 With 3 equipped conference rooms, Venit + Mio Barra Hotel is set to host your event, meeting, or convention. These three rooms can be reserved together to hold an event for 175 people. 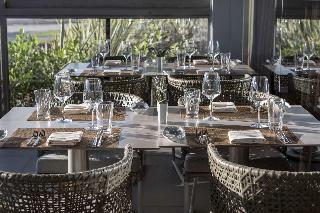 This modern hotel is located near the Bosque da Barra in Rio de Janeiro's stylish Barra da Tijuca district. Rock in Rio and Riocentro convention centre are within a 15-minute drive, and the area boast a variety of upscale shops and exceptional restaurants. The hotel is also within walking distance of other natural attractions such as Marapendi ecological park and Lake Jacarepaguá Marapendi. After a busy day spent exploring the area, guests might work out in the fitness centre, relax in the sauna or go for a swim in the refreshing outdoor pool. 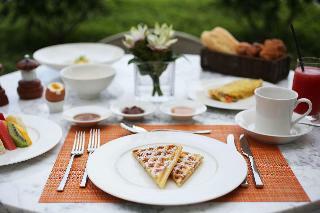 The hotel also provides a complimentary hot breakfast and free wireless internet access. Combining elegance and sophistication with a privileged location, this hotel makes for a fabulous stay in Rio whether travelling for business or leisure.